Margaret Scott - meherbabatravels jimdo page! After sailing from Honolulu, Baba informed Chanji, "There is one soul I want to contact on this ship." The next day, Chanji went down to the laundry room to iron Baba's pants and met a woman named Margaret Scott. She narrated a troubled life, saying that she was desperate and now thinking of divorcing her husband. She had seriously contemplated suicide. Chanji told her about Baba, who later sent word to the woman not to get divorced. Chanji talked with her for a few minutes each evening and she became eager to meet Baba in person for she sought his blessing. Enid Corfe, Margaret Scott, Elizabeth's nephew Harry Hartshorne, and Consuella de Sides all had private meetings with Baba on the morning of May 10th. Enid had not seen Baba for many years, and had been interned in a concentration camp in Italy during the war. "You are one of the intimate ones," Baba assured her. "After the 17th, I will find time to read the notes about your wartime experiences." Elizabeth had told Baba about Harry's chicken farm. "I like sheep better than chickens," Baba remarked. Harry said he had many sheep and lambs also. Baba liked him and spelled out to him, "Harry, I like humor and you have a good sense of humor. One must always try to be happy and make others happy; otherwise, life will be a bore. Honest living is also very important – whereby we know we are not deceiving God, others, ourselves, and the world. All that is expected of us is this honesty and our attempt to make others happy and to be happy." Referring to Harry's aunt, Baba remarked, "Whatever Elizabeth has done for me through love is beyond imagination." Margaret Scott had not seen Baba since 1935. "I am sorry I caused you suffering, Baba, for I know you have suffered for me," she said. "But your love has compensated for all the suffering," Baba assured her. "I know deep down you do love me. Baba loves you, too." Margaret said, "Sometimes I am very naughty just because I do not understand. I think I understand now." "The most important thing to understand is that we must be honest to God, Baba, ourselves and to humanity. Honest in the sense that in loving God there has to be no compromise. Have you anything to ask?" "I just do not know. I feel so peaceful." "There is no need to ask. And be sure of my love to help you. No need to ask, but Baba will help you through his love. Love God and Baba, and leave the rest to Divine Will." Margaret Scott saw Baba again the following morning at 10:40 A.M. At this meeting Margaret asked, "Why did you say yesterday that I have not changed?" Baba replied: "You loved me when you last saw me, and you love me now, so you have not changed. You thought I meant you have not tried, you have not been honest to my love, have not grown in love for Baba? Did you think I meant that?" "I thought I failed you, that I made you suffer," Margaret confessed. "As for suffering, I have suffered for myself and for the whole world and mostly for my intimate ones; so, definitely, I have suffered for you. But you love me. Hence this suffering has been compensated. "I know exactly how you have tried, what you doubt, how you have tried to overcome this confusion, and how you eventually have come to me. All that means that you have not failed me. Everyone commits mistakes unless one is perfect and one with God, but love for Baba wipes away the mistakes. We must remember that God is all Truth, all Beauty. And in our love for God, for Baba, we must be one hundred percent honest. Purity, honesty and love; God wants these three things. And you love Baba; so don't bother about anything. "Love can wipe away every weakness, every mistake. When you love Baba one hundred percent, God, who is within you, knows the love, and that is enough for Him. He is in all, in saints, in sinners, in animals, in inanimate objects and in everyone. He is here right now within and without; He knows what we speak. He is wonderful, infinite, and only He is real. He knows you love Baba. "Don't worry about weaknesses. They will go, defects will go. Even if they linger on, love will one day consume them. In the Ocean of Love, everything disappears. However dirty our minds might be, the love we have will cleanse it completely. If you were to wash your face every day in this lake, all the dirt would go into the lake, but the lake would remain clear. Similarly, in you is a lake of love for Baba. So for every difficulty, every weakness that persists, you need not bother. It is being washed off. You must love with all your heart, and honestly. Love demands that you think not of yourself but of the Beloved. So, do not worry, and I tell you, even if you at times get doubts, get confused, even if you cannot love me as I want you to, do not worry at all. Baba loves you and that matters." A few weeks later, on February 25th, Margaret Scott, another longtime lover from New York, also passed away. Margaret Scott, a disciple of Meher Baba's, paid Pascal's enormous debt to his mistress, paid his $7000.00 option payment on My Fair Lady, and paid his hospital bills on his death bed. It is not known if she fell or jumped from a New York apartment building to her death after his. Her daughter was fully reimbursed from the estate. In spring of 1954, in New York City, just before his passing Gabriel Pascal had planned a trip to India to see Meher Baba one last time. He was having an affair and divorcing his wife at the time. One day he impulsively wrote on a piece of Hotel stationery to his mistress, "If I die on my trip to India I leave my entire estate to you." He signed and dated it before two witnesses, a cook and a maid in the Hotel who did not speak English but only Chinese. This was an absurd gesture since Pascal was totally in debt. 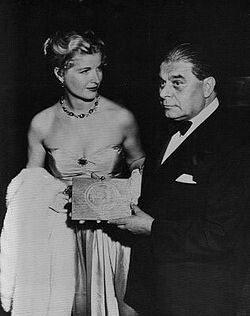 He died within a short time of this letter in July, 1954, and within two years of his death the musical My Fair Lady, which Pascal had managed to retain an option on by borrowing money from a Baba follower named Margaret Scott, opened on Broadway. Thus, soon after his death, his estate, which had been worth nothing on his deathbed, grew to an estimated value of $2,000,000 as the movie rights for My Fair Lady (which was filmed in 1964) were also quickly optioned. There was a large court battle in which his widow Valerie (who he was not fully divorced from at the time of his death) and the mistress fought over his estate. His odd last will and testament on the Hotel stationery was entered as evidence in support of his mistress and the case was well-publicized. 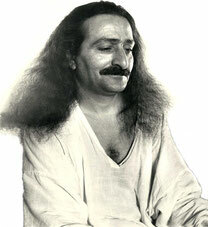 Several Meher Baba followers were involved in his life at the end including Harold Rudd who testified at his trial. The result of the trial was an even split of Pascal's royalties from My Fair Lady between the mistress and Pascal's estranged widow, each receiving well over one million dollars in settlement. His widow Valerie attempted to pay back the borrowed option money to Margaret Scott but by the time the settlement came through Mrs. Scott had fallen from a New York apartment window to her death. Valerie therefore paid the money to Margaret's daughter instead. 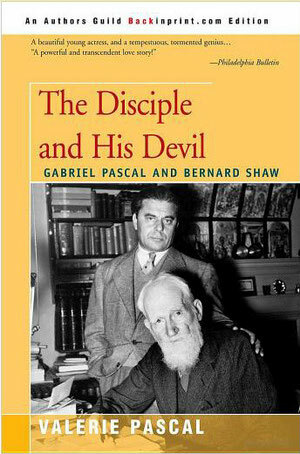 Gabriel's wife - Valerie later wrote a book after his death called "The Disciple & His Devil ". In it she details the last few years of his life. She also mentions Margaret Scott, Meher Baba and a host of other Baba personel. She certainly wasn't flattering towards Baba or Margaret. If you're curious about HER point of view, which cannot be challenged by the deceased click on the web extension below.